Abdallah bin Eisa Al Serkal is a businessman who hails from a family known for its business success originating in 1947 by his grandfather, Nasser bin Abdullatif Al Serkal and succeeded by his father, Eisa bin Nasser Al Serkal. Al Serkal studied in both in the UAE and the US in Business Administration and Management. 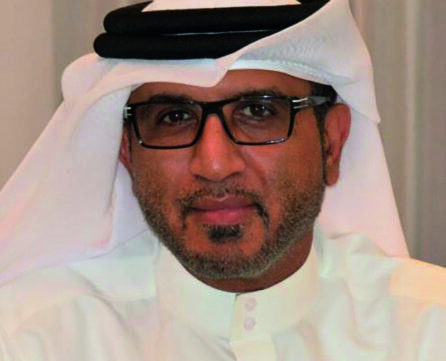 Along with his brothers, he currently occupies a position of Director of Nasser bin Abdullatif Alserkal Est. Since the company’s establishment, Nasser bin Abdullatif Alserkal had been striving to promote trade and innovative investments in the UAE and GCC Countries. In extension to professional success, in 1998 Al Serkal established the Sheikh Mohammed Centre for Cultural Understanding (SMCCU). Under the patronage of His Highness Sheikh Mohammed bin Rashid Al Maktoum, Vice President and Prime Minister of the UAE and Ruler of Dubai, SMCCU is a non-profit organisation dedicated to offering unique interactive activities which raise cultural awareness of the UAE and its traditions, customs, religion and culture amongst foreign residents and visitors alike. SMCCU also engages young UAE Nationals to learn, discover and connect with a variety of cultures while sharing their own culture.